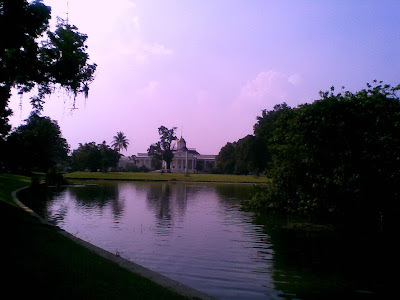 For Sky Watch Friday, I share here some spots of Bogor Presidential Palace that seen from Bogor Botanical Gardens. 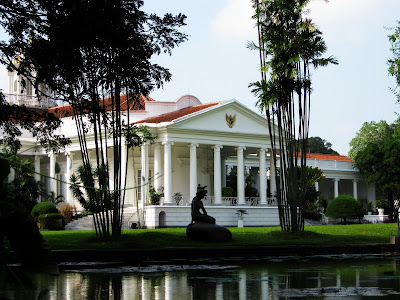 Bogor Palace is one of 6 Presidential Palaces in Indonesia. The palace is noted for its distinctive architectural, historical, features, as well as the adjoining botanical gardens. 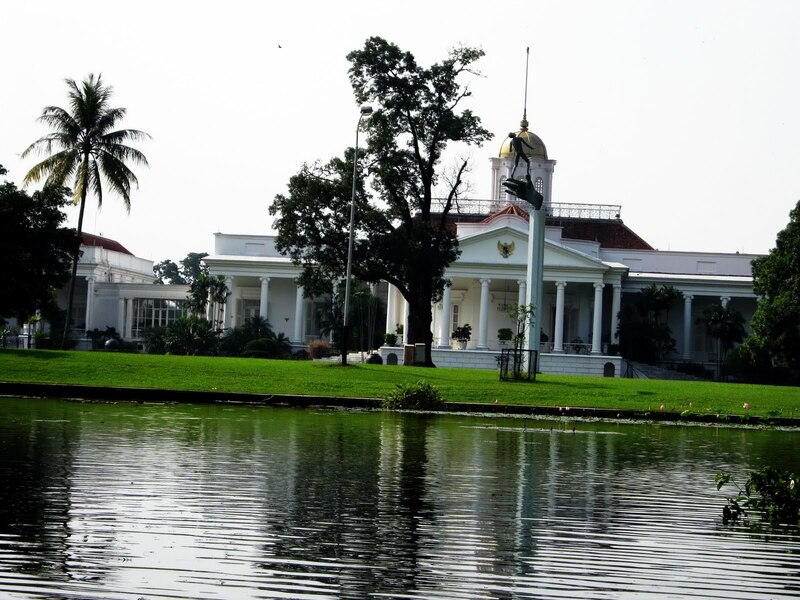 The original colonial building on the site of Istana Bogor was a mansion named Buitenzorg, which was built from August 1744 as a country retreat for the Dutch Governors, including also during the period of British administration. From 1870 to 1942 the Istana Bogor served as the official residence of the Dutch Governors General. The palace houses an extensive art collection which had been accumulated by Soekarno. Until present time, a herd of white spotted deer still range within the palace grounds; a group of these had originally been brought there by the Dutch for hunting and sport (source:Wikipedia).